Posted 11 January 2018 by Sam Brickley & filed under Articles, Business, Design, Internet, Money, Technology. From passwords to client account details to company secrets – every business has sensitive information that could be costly if stolen or leaked. Various measures can help to stop this information getting into the wrong hands. Here are a few measures worth considering. If you want to keep certain files on your computer secure such as account records or password lists, it could be worth encrypting these files. This converts the file into an unreadable code that can only be read by entering a password. Most computers come with in-built encryption tools, but it’s possible to download software that can add more complex encryption. An added simple way of protecting these files could also be to name them strategically – rather than naming a document full of passwords ‘password list’, consider something subtle like ‘business1’ that a hacker won’t guess. Make sure that you’re regularly coming up with new passwords. Using the same password for several years could be a dangerous – there have been cases of bitter ex-employees leaking passwords to get back at a company. Make sure that the right people are notified of these password changes. 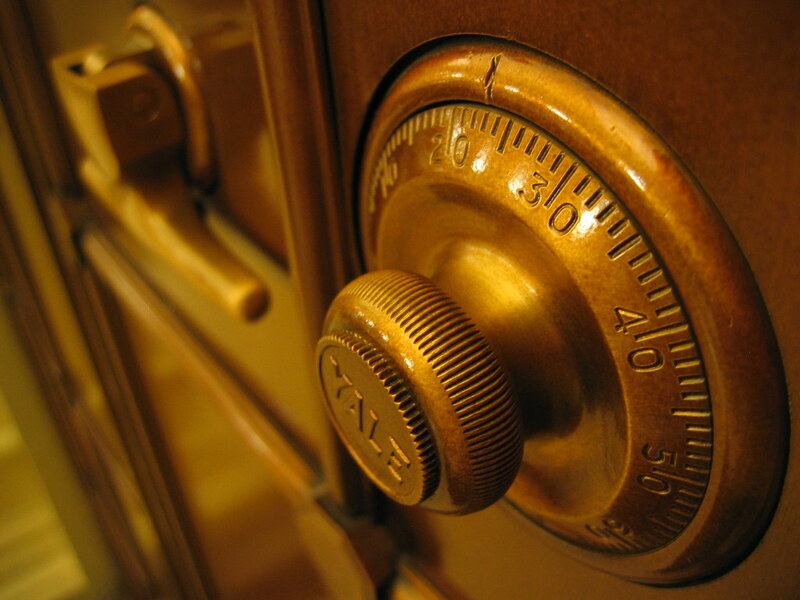 For protecting physical documents, it could be worth buying a safe. A safe should ideally be fixed to a wall – fixing it to a wall can prevent a burglar simply stealing the safe and working out how to get into it later. A safe is also best hidden out of sight where people can’t see you accessing it. If you don’t feel your premises offers adequate security, you could consider using a file storage service. There are plenty of box/file storage services out there for physical documents. Private cloud servers meanwhile can be used to store digital files. In case files do get stolen or accidentally deleted, it’s beneficial to always have a backup. Files could be backed up digitally on the cloud or they could be backed up physically in another location. Ideally these backup files shouldn’t be in the same building to protect against the threat of a burglary or fire. You may not want all your employees to have access to certain information. Think carefully about who you give out passwords and alarm codes to – it might be safer to limit certain codes to those with management positions. In certain fields, it could be beneficial to do a background check on applicants before employing them. This could check for any criminal offences or previous bad experiences employers that could prevent you from taking on a potential security risk. Alternatively, you may want to screen employees only when promoting them to a management position – until then you can limit the information that they have access to.